Book Recommendation: Where Have All the Pop Stars Gone? DAVIS, CALIF., U.S.A. -- A singer-songwriter who had been a member of America’s most successful and influential musical group of the late 1950s and early ’60s and wrote one of the biggest-selling songs of the 1960s revealed late in his life that he was bipolar. One ’60s era singer who initially established himself as a rock-and-roller before re-emerging as a smooth balladeer recently divulged a secret that not even his mother knew: as a youth, he had spent a night in jail. Another popular teenage heartthrob who amassed 38 singles on the Billboard Hot 100 in the 1960s hired a then-obscure backup piano player by the name of Elston Gunnn (with three n’s) -- who later became known to the world as Bob Dylan. 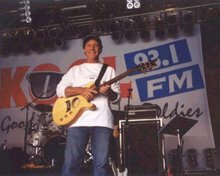 The guitarist for a record-breaking American band who severed part of his thumb in later life while building a boat was able to resume performing by switching to bass guitar. 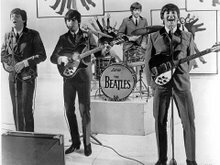 After the breakup of one of the most revered “British invasion” groups, its financially struggling lead singer reluctantly took a job with an insurance brokerage, then re-emerged as a singer under a different name before finally reverting to the name by which his fans knew him. That's the first paragraph of the official press release for Where Have All the Pop Stars Gone? -- Volume 1, published in July of 2011. Written by Marti Smiley Childs and Jeff March, Where Have All the Pop Stars Gone? 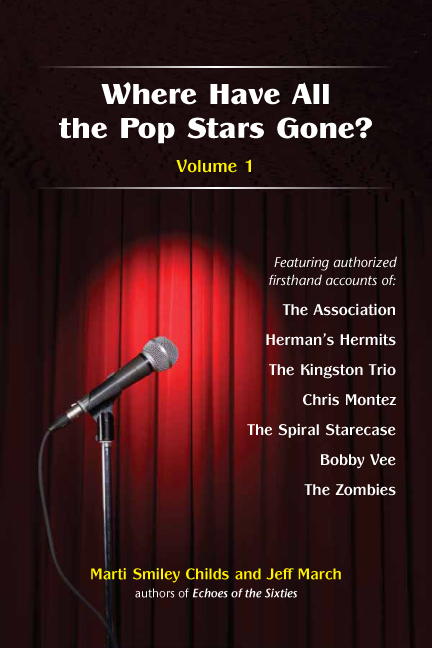 -- Volume 1 is a treasure trove of information on twenty-six artists from the 1950s and 1960s, catching up on the lives and careers of Bobby Vee, Chris Montez, and members of The Kingston Trio, The Spiral Starecase, Herman's Hermits, The Association, and The Zombies. Loaded with information and filled with quotes from most of the principals (including several who are no longer with us), the book is an entertaining read as well as an educational one. As of this writing, seven out of the seven reviews on Amazon.com gave the book a five-star rating. To read more about Where Have All the Pop Stars Gone? -- Volume 1, including the rest of the press release, please visit Oldies Connection. Highly recommended for fans of the music from rock and roll's golden era. Did I forget anybody? If so, please let me know in the Comments. Mark Wirtz is going to be the guest of honor at a release party for his new CD, Lost Pets 2, at Rock and Roll Heaven in Orlando, Florida. This will take place on Saturday, October 8, 2011, beginning at 12:00 noon. Mark will be meeting and greeting fans and signing autographs. If you live in the area (or even if you don't), here's a rare opportunity to rub elbows with the artist himself. Be there or be square!